Coding and CDI, both critically important to the success of our healthcare institutions, will continue to evolve in response to changes in technology, reimbursement, and workforce requirements. The relationship between CDIs and Coders is changing as the Revenue Cycle function requires a team approach that embraces all operational areas that impact revenue. We asked seven experts what they thought about the intersection of CDI and coding and what it means to them and their organization. 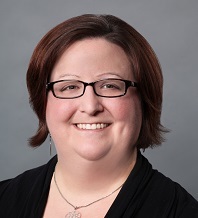 ERAMO: Do you think CDI specialists need to increase their understanding of coding? How can they learn this critical skill? YORK: Yes, and education is key. CDI specialists don’t know what they don’t know. Once they start learning about coding conventions, guidelines, and classification systems, they better understand what to query, and more importantly, why. MISKOWITZ: We use internal resources (coders) to train our CDI specialists. More specifically, we have monthly coder-CDI meetings. 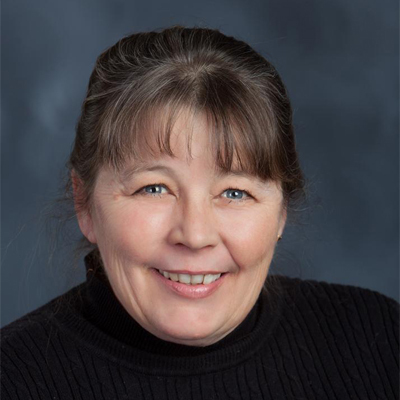 CDI specialists provide clinical information about a specific topic, and then a coder gives coding examples. Then there’s a Q&A. TROMBLEY: Obtain the CCS credential. Self-paced online learning modules can also help CDI specialists learn more about coding. 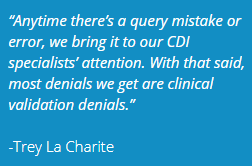 LA CHARITE: Anytime there’s a query mistake or error, we bring it to our CDI specialists’ attention. With that said, most denials we get are clinical validation denials. They’re not coding related. We also hire an external vendor to help provide basic coding training to new CDI specialists. It’s a four- to six-week class of in-depth training, but it’s not enough preparation for the CCS or CPC exam. Both of these coding credentials aren’t easy to obtain, and we don’t require them for our CDI staff. The training touches on adult medicine and how it relates to each major diagnostic category and the coding guidelines. It’s also tailored to our organization and the types of cases we see. CDI specialists working in the outpatient setting also receive fairly in-depth risk adjustment training. LAFRAMBOISE: More coding training. They simply need to train more. Getting the CCS credential is the best way to do that.